Las Vegas, NV (December 7, 2017) – Picturesque open-aired Tivoli Village is a one-of-a-kind destination for delectable dining, unique shopping and a variety of special events for you and the whole family. This winter, many of its restaurant tenants are offering special menus for the holiday season. Enjoy a $10 gift card for each guest when booking a weekday holiday event. A $25 bonus is also being offered for every $100 in gift cards that are purchased. In addition, Brio is offering a holiday menu and cocktail list through December 27 inclusive of items like grilled branzino, surf and turf, a salted caramel martini and white chocolate berry bread pudding for dessert. Holiday catering options are available too. Hamptons is offering a swanky New Years Eve party complete with a special appointed four-course prix fixe menu and a live DJ complete with an oldies dance party from 9-11 p.m. This unforgettable bash will be inclusive of the entire restaurant that evening. Call 702.946.1482 for reservations. Chef Leticia Mitchell is offering a three-course New Year’s Eve dinner consisting of traditional Mexican cuisine accompanied with a glass of wine for $69 a person. Dinner service runs from 7-11 p.m. and includes a champagne toast, a live DJ and party favors. Reservations can be made at leticiascocina.com. In addition, Leticia’s is offering tamales for the holidays that come in a variety of flavors that can be ordered by the dozen for $22 or by the half dozen for $18. Special orders are welcome 24 hours in advance. PKWY Tavern is open 24 hours a day, seven days a week through the holidays. For the duration of Christmas day, December 25, Chef Lanny will be serving a roasted turkey pot pie with vegetables in a creamy New Belgium fat tire gravy with a garlic biscuit top. Echo and Rig will be featuring specials in their butcher shop during the holiday season for that perfect at-home main dish with family and friends. From dancing in the streets to yoga on the Piazza, old-world elegance blends seamlessly with today’s active lifestyle at Tivoli Village. Anchored by Restoration Hardware’s RH Las Vegas, The Gallery at Tivoli Village, the outdoor center is complemented by a curated collection of retailers ranging from luxury brands to one-of-a-kind boutiques. Enticing restaurants range from local favorite, Echo & Rig Butcher and Steakhouse, to national standout, Brio Tuscan Grille, while David Barton Gym and Dance With Me serve as upscale experiential destinations beyond traditional retail and dining options. 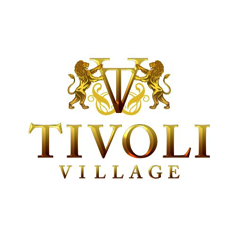 Located in one of the most affluent sections of Southern Nevada, Tivoli Village is 15 minutes from the Las Vegas Strip, conveniently situated near the Summerlin Parkway. The center proudly boasts 370,000 square feet of retail and restaurants and 300,000 square feet of Class A office space. Complimentary valet and covered parking are provided. Restaurant and store hours vary. For more information on events at Tivoli Village visit tivolivillagelv.com, follow Tivoli Village on Instagram and Twitter, or like Tivoli Village on Facebook. 2019 © Ava Rose Agency.